Albert Speer, a Nazi official and Adolf Hitler’s chief architect was born in Mannheim, Baden, Germany on March 19, 1905. Speer’s father was an architect too and he adopted the profession just to please his father leaving Mathematics, profession of his own choice. Under the strict supervision and guidance of an architect father, Speer studied at technical schools in Karlsruhe, Munich, and Berlin and became an architect in 1927. The political and economic disorder of Germany drew a huge influence on Speer and he decided to join the Nazi Party after getting impressed by Hitler’s speech at Berlin rally in 1930. Speer worked hard and eventually succeeded in adding his name in Hitler’s good books and soon became Führer’s personal architect. He proved to have a glorious fate as he was building and designing for Nazis in a time when unemployment rate was so high in Germany. In such crucial times Speer was not only doing a job he loved but was also being paid for it. Hitler was quite fond of architecture and he had found the right man to translate his interests into physical realities. He used to collaborate with Speer in all his projects thus taking this bond of alliance towards friendship. With the passage of time Speer succeeded in winning the ultimate trust of Hitler and Hitler on the other hand started to believe firmly that Speer is the man who would give German buildings a life of thousand years thus enabling them to mark a statement on the face of this planet. Both of them had a very interesting way of working together. Hitler would first make the sketch of anything he wanted and hand it over to Speer while Speer would develop the sketches into blueprints and architectural drawings and oversee their making. Another factor that grew this bond stronger was the level of comfort and respect that both of them traded with each other. From balconies to deliver speeches to stadiums to hold large rallies, Speer made everything very skillfully under the constructions of Hitler. Albert Speer was on his way of giving Berlin an altogether new looks in collaboration with Hitler. They both had made a large number of detailed models showing future planning of street layouts and building configurations. Everything was going smooth until the time when Germany got indulged into the war with allied countries. Speer disobeyed Hitler’s “scorched earth” orders, according to which he wanted the destruction of roads, factories, bridges, entire cities, in order to delay the war from ending. Speer saved this all for the sake of German people as he knew that they would need them after the war was over. Near the end of the war Hitler committed suicide and many Nazi leaders including Speer got arrested. While majority of Nazi leaders were hanged for the crimes they had committed, Speer got the longest sentence of them all that comprised of 20 year prison along with exception of three life sentences. Right after his release in 1966, Speer commenced another career as a writer and wrote his first book Inside the Third Reich that ended up being a bestseller. Later In 1976, he wrote another successful book, titled Spandau: The Secret Diaries. Another book following these two was Infiltrator, which was published in 1981. 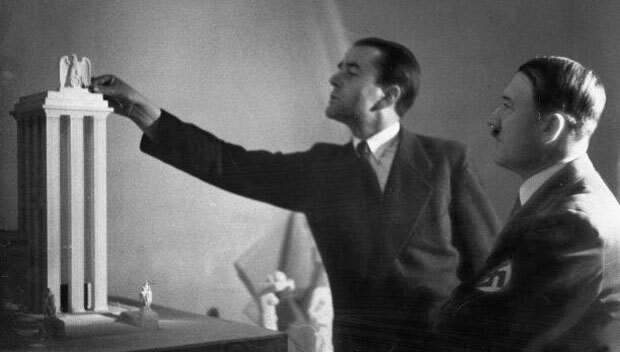 Albert Speer died in London on September 1, 1981.